Never forget that your capacity to survive has got you this far. There is always hope in tomorrow. You are here and you are wonderful. You are part of an incredible universe and your place in it is just as important as the moons and the stars and the planets. You are life itself. There will be rough days. 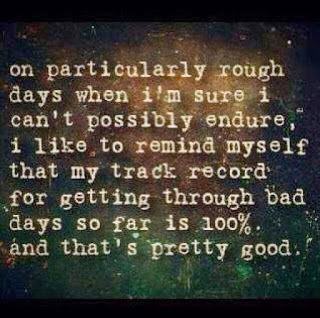 There will be not so rough days. There will be bloody terrible days and bloody brilliant days and they are all part of your journey. The destination is not important. Your are travelling in time and space and you are magic.